News in brief – July 2018 – European Bioplastics e.V. Thermoformable bio-based material to replace fossil-based plastics in furniture: VTT Technical Research Centre of Finland Ltd has developed a thermally formable, biodegradable material, which is 100% bio-based. According to VTT, the new material is suitable for furniture applications, making it an attractive alternative to wood and the various biocomposite materials already available in the market, while offering further advantages due to its formability and colouring properties. 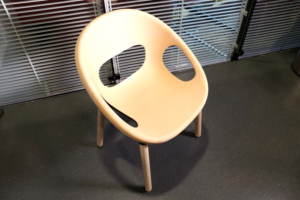 As a proof of concept, the first model product with the new material was a designer chair manufactured jointly by VTT, Plastec Finland and KO-HO Industrial design. The chair was produced using traditional compounding and injection moulding technologies, and is made from wood-based cellulose fibres, renewable and industrially compostable, thermoformable polylactide, and bio-based additives. Natural History Museum uses bio-based Lego elements to teach about sustainability: Earlier in March, Lego announced that it would start making botanical elements – including trees, leaves and bushes – out of bio-based plastic materials that are produced using sustainably sourced sugarcane. 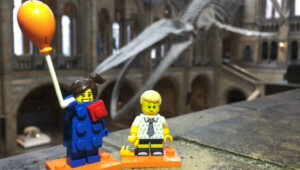 To commemorate the launch, Lego and the Natural History Museum in London will be hosting a new event using the brick elements, to help teach kids about nature and sustainability. ‘The Quest for Plant Maximus’ is taking place all day on 3rd-5th August, and the idea is that kids can build their own ‘sustainable superhero’ (called Plant Maximus) using a mix of traditional and the new sustainable Lego pieces. Throughout each session attendees will learn about the process behind how Lego is making the new sustainable pieces, alongside a ‘quest’ that sends them around the museum to learn more about nature and the environment. The event is free but online booking is required. Biological routes for CO2 conversion into platform chemicals for the production of plastics: The EU Horizon2020 funded project BioRECO2VER, which stands for ‘Biological routes for CO2 conversion into chemical building blocks’, aims to demonstrate the technical feasibility of more energy efficient and sustainable non-photosynthetic biotechnological processes for the capture and conversion of CO2 from industrial point sources like refineries and cement production plants into valuable platform chemicals, i.e. isobutene and lactate. 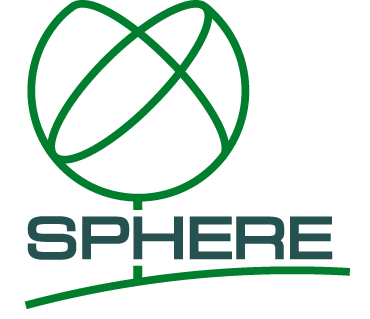 The project consortium comprises 12 partners, including EUBP members nova-Institut and NatureWorks. Learn more about the project on their recently launched website.